Auto accidents of all kinds can be very scary and very serious. For both victims and loved ones of victims, the accident can be life-changing and ultimately devastating. Our team of personal injury attorneys knows just how unfortunate these kinds of tragedies can be, which is why we fight so diligently to ensure that the victims of negligence and their loved ones are able to achieve just compensation for their losses. We'd like to take this opportunity to focus on the nature of head-on auto accidents and what they mean for motorists and their families. Head-on auto accidents involve the collision of two cars that are both facing each other. These types of collisions can be very serious, especially if both cars rather than just one car are in motion. The sheer force created from impact can be severe, even at relatively low speeds, which is why our personal injury lawyers take each head-on collision case seriously. As we mentioned above, the sheer force created by the impact of two forward-facing vehicles can be extreme, which is why fatalities from head-on auto accidents are sadly common. In these instances, our legal team will help in the filing of a wrongful death lawsuit so that the grieving loved ones of the deceased can achieve peace of mind. 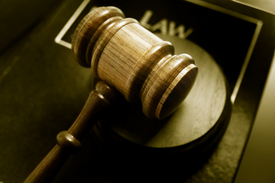 Our auto accident attorneys will always fight diligently on the behalf of clients. We will look into all of the circumstances of your case and determine who was negligent and ultimately responsible for the head-on collision. We will then fight to ensure that you receive just compensation for injuries and damages to your vehicle and other property contained within. In the case of wrongful death lawsuits, we will seek compensation to cover the loss of your loved one. While the person can never be replaced, the compensation will help cover funerary costs, loss of companionship, emotional distress, and other matters that can help the grieving achieve some sense of justice and closure. In both personal injury and wrongful death lawsuits, our team will also seek punitive damages against the responsible party, punishing said party for causing the accident and ensuring that this negligence does not happen again in the future. If you or someone you love has been involved in a head-on auto accident, it's important that you contact our personal injury law firm in Torrance today. Our entire team will be able to meet with you and help you achieve just compensation for your losses.